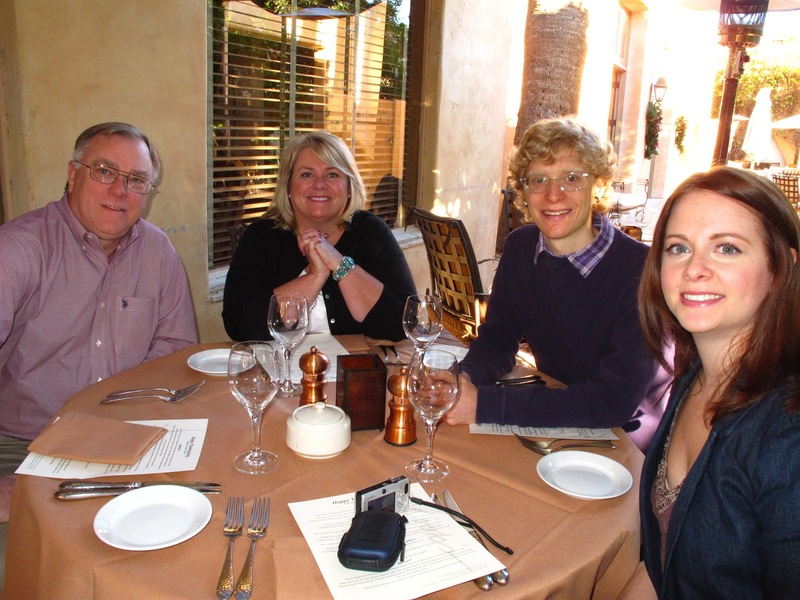 We went to dinner at T.Cook's restaurant at the Royal Palms Resort. To saw this hotel was gorgeous is an understatement. When I got Scottsdale travel tips from Jenna, she told me she hopes to get married at the Royal Palm...check out these photos, you can see why! Oh and the food was delish- traditional menu with some modern twists. That banana caramel bread pudding sounds good! Your dress is so cute! What a fun Thanksgiving - takes away all the stress of cooking, i like it! You look amazing and that food looks delish! You look great Jaime, definitely one of my favorite outfits of yours! It must have been so nice eating thanksgiving dinner outside!!! Everything looks great. You, the house, the weather, the food. What a nice way to spend Thanksgiving! You look great - such a beautiful place! I would love to spend more time in Arizona. My husband's parents lived there for a few years and I've been to Vegas a handful of times. I love it out there. Oh that dress is too cute and that's the perfect color for fall! The burgundy dress is super cute and I love the yellow pillows in front of the outdoor fireplace. What a lovely spot! How fun! I love your outfit. It's always different to sit in sun during the holiday season. But hey, why not get a tan and eat turkey? You looked beautiful!! And YUM your Turkey dinner looks AMAZING! Yum and the dress is lovely on you! Jamie, I want to hear all about your Arizona tips. I'm going to be out there next month and I'd love to hear what you think is worthy of seeing and doing. 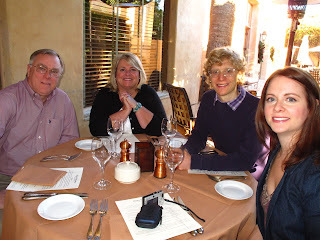 Were you only in Scottsdale or did you travel around. I think We'll be in Phoenix, Sedona, and then up by the Grand Canyon. How nice to visit and have a lovely dinner without the clean up afterwards. perfect outfit but tights on Thanksgiving sounds too restricting for me. Lovely look and pics, darling! You look gorgeous, Jaime! I absolutely love the dress! that food looks devine! so fancy! and i adore your thanksgiving outfit. it looks great on you. that dessert looks way better than traditional pumpkin pie! Oooo Jamie, you look GORGEOUS for Thanksgiving! The ones your brother took of you are just too beautiful, seriously. And the "Free People" dress is stunning (but what do they make that isn't??). How fun you got to spice up your tradition and try something new. PS you look so much like your Mom! The Royal Palms is so pretty, thanks for the shout out!! Loved your thanksgiving outfit too.